Here at Veterinary Integrative Center, we offer the core vaccines for healthy dogs and cats under a schedule set forth by the American Animal Hospital Association and the American association of Feline Practioners. 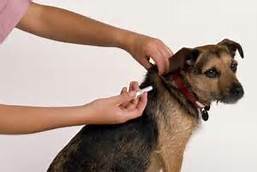 Vaccines have reduced the incidence of many serious and life threatening infectious diseases such as Distemper and Rabies, and play an integral role in protecting the health and well being of your pet and the health of the public. Let our veterinary hospital in Redlands help ensure your companion is properly protected. Call Us today to make an appointment to discuss vacccines and customize a vaccine schedule to fit the needs of your pet. Also ask us about titer testing for Distemper, Parvo, and Rabies virus for your dog and Panleukopenia, calicivirus and herpesvirus for your cat. From a small blood sample, a titer test can help determine the level of protection inferred by previously administered vaccines. This can help protect against over vaccinating, and is especially important in pets with a history of vaccine reactions. (Please keep in mind that most counties will not accept a protective Rabies titer level in place of the Rabies vaccine for licensing purposes. 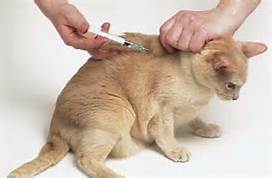 However, for pets with a history of life threatening vaccine reactions, we can provide you with an exemption letter to satisfy this requirement).